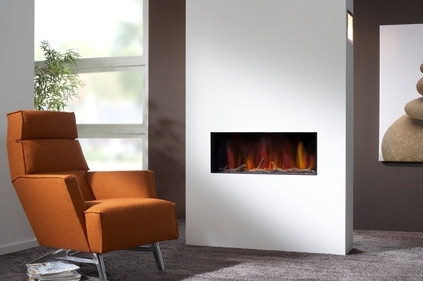 The unique ELECTRIC version of one of our best selling frameless gas fires. The DRU Metro 80e can be installed into an existing or false chimneybreast. 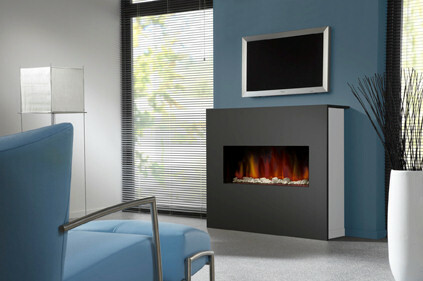 It has a frameless design with a full width, glowing fire bed, together with a unique, realistic LED flame picture shown with choice of twigs or pebbles.